Excitement mounted this week at TOFT as we moved the first batch of expectant mothers into the Home (maternity) Paddocks closer to the house. Not long now before the Bambi moments fill our days. At TOFT we move the pregnant Mums close in two weeks before their due dates and move them back for mating two weeks after they give birth when we know Mother and babe are coping well. Bit chilly yesterday with a touch of snow sliding through on the wind but nothing substantial save rain and cold. Nothing to stop these Mums birthing as soon as the sun shines and they get a bit of dry. 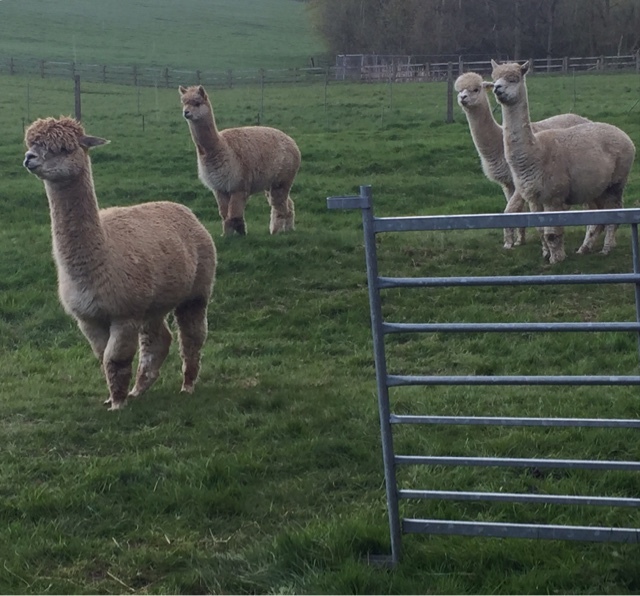 Alpacas are the envy of the sheep world in that their natural instincts are still very strong ensuring that they normally give birth in daylight hours before 3.30pm, usually on a sunny day. The downside is they can give birth anytime over a four week period around their due dates. Swings and roundabouts!